You can now get Tommy Hilfiger’s chatbot on Facebook Messenger. You get inspiration, news, and latest looks from Tommy Hilfiger’s world in this chatbot. How will the chatbot fare against our expectations? Let’s find out! You need to activate Tommy Hilfiger’s chatbot on Facebook Messenger by selecting “Get Started.” The chatbot will introduce itself and inform you of its capability. The Tommy Hilfiger chatbot is designed to help you find the perfect look. The chatbot will begin asking a series of questions so that it can develop your style profile. First, the chatbot will ask you to describe your style in one word. As the chatbot doesn’t have natural language processing, you can’t type anything you feel like and expect it to understand. For the first question, the chatbot will ask you to pick from the following options – sporty, preppy, and boho. Once you pick the style you prefer, the chatbot will ask you if you like wearing colors. You can choose from white, neutral, and colorful. After the chatbot knows about your preference in colors, it will find out why you need a new outfit. You can tell the chatbot that it’s because you have a date night or a brunch or you are going to the beach or a festival. Based on what you tell the chatbot, it will inquire about your favorite print. Here the chatbot will ask you to pick from stripes, florals, and solids. After you answer this question, the chatbot will ask you about your wardrobe staple. For this one, you can choose from tees, denim, chinos, dresses, skirts, shorts, and sweatshirts. Once the chatbot has completed your style profile, it will start suggesting various types of clothes that you may like. For example, if you chose sporty, the chatbot will start suggesting clothes that fit this style such as sleeveless hoodies, jerseys, and varsity jackets to name a few. Now, you can always change your style profile if you are not happy with what the chatbot is suggesting. At the same time, if you like what you see, you can ask the chatbot to give you more details regarding the look. However, you need to tell the chatbot which country you are residing in at the moment. Once the chatbot has this information, it can help you find stores that are nearby your location that have these type of clothes. The chatbot will give your additional information such as the type of material used and the styling behind the dresses. You can use the chatbot to find the latest collection of Tommy Hilfiger. These collections have a myriad of looks and products. 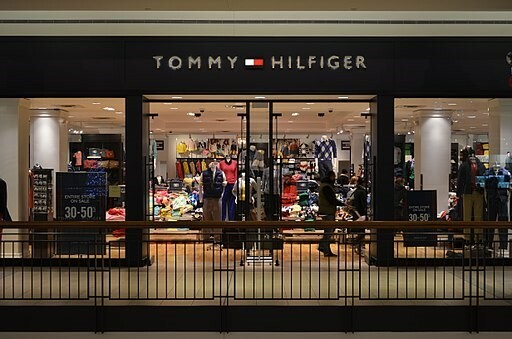 You can also use this chatbot to search for all of Tommy Hilfiger’s products by category. For example, accessories, bags, bottoms, dresses, outerwear, shoes, tops, underwear and bathing suits are the categories that are available on the chatbot. If you select one of these categories, the chatbot will give you more options to pick from such as tanks, knits, jackets, hoodies, t-shirts, and more. Overall, Tommy Hilfiger is one of the best fashion chatbots at the moment. The chatbot is exceptional at suggesting clothing that fit your tastes and preferences. The best part of the chatbot is that you can find everything it suggests in stores near your location. You can also get the latest Tommy Hilfiger looks on the chatbot. If you find anything you like on the chatbot, you can ask the chatbot to browse through the collection. The chatbot gives you detailed information about all of Tommy Hilfiger’s clothes. Do give this chatbot a shot on Facebook Messenger if you are looking for a new stylish outfit!